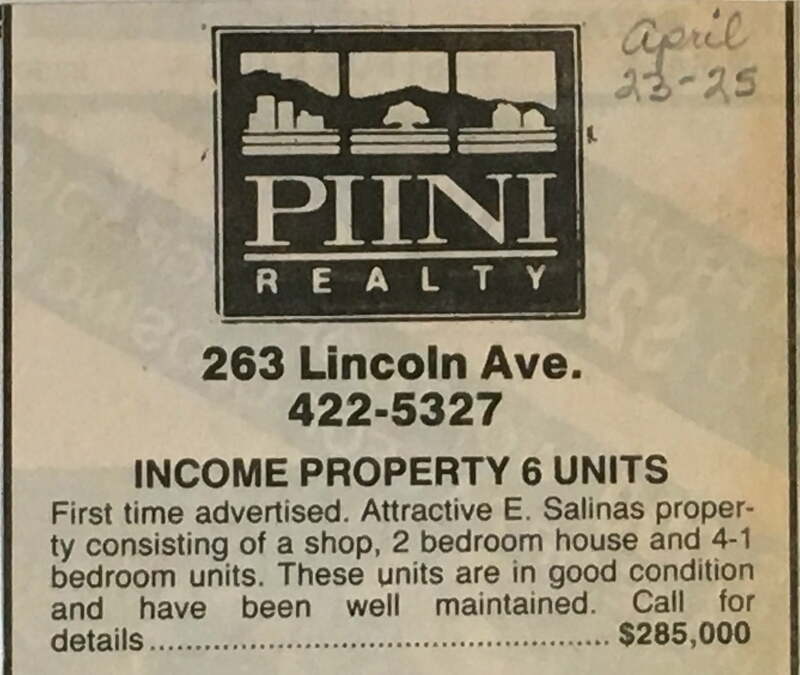 The Piini family has been working in the real estate industry in Monterey County since 1939. 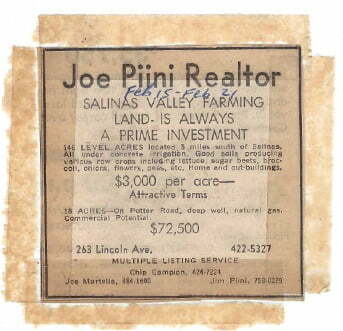 That was the year Joe Piini (aka Grandpa Joe) began his career in real estate after immigrating to the United States from Switzerland in 1926. 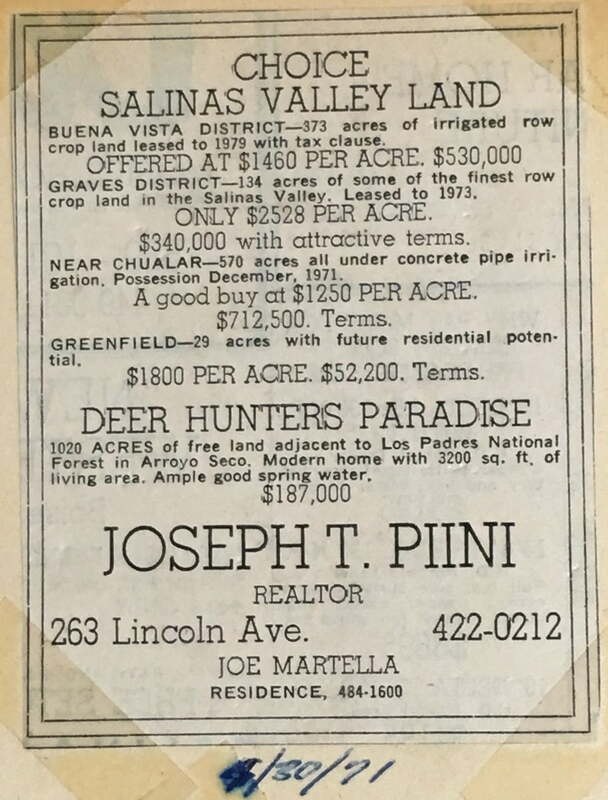 He first started working with John Breschini and began forming the foundation for a real estate career that expanded over several decades. 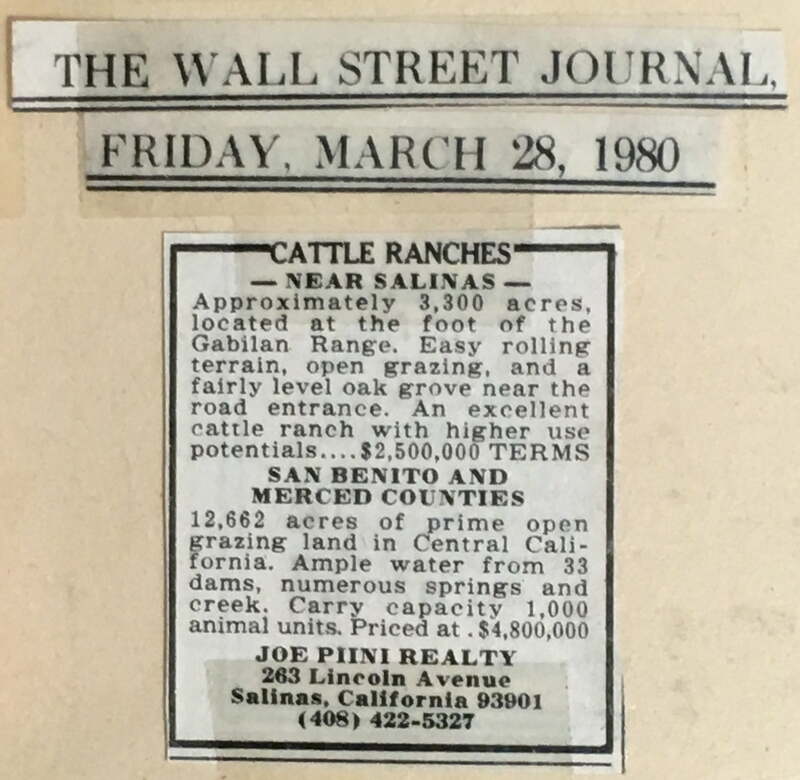 Joe was actively involved in the brokerage, appraisal and development sectors of real estate with a lasting impact that is evident in our business structure today. 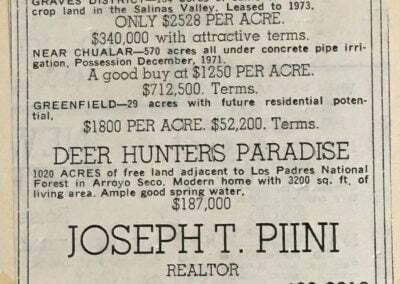 In 1960, Joe became one of the first MAI designated appraisers in Monterey County. 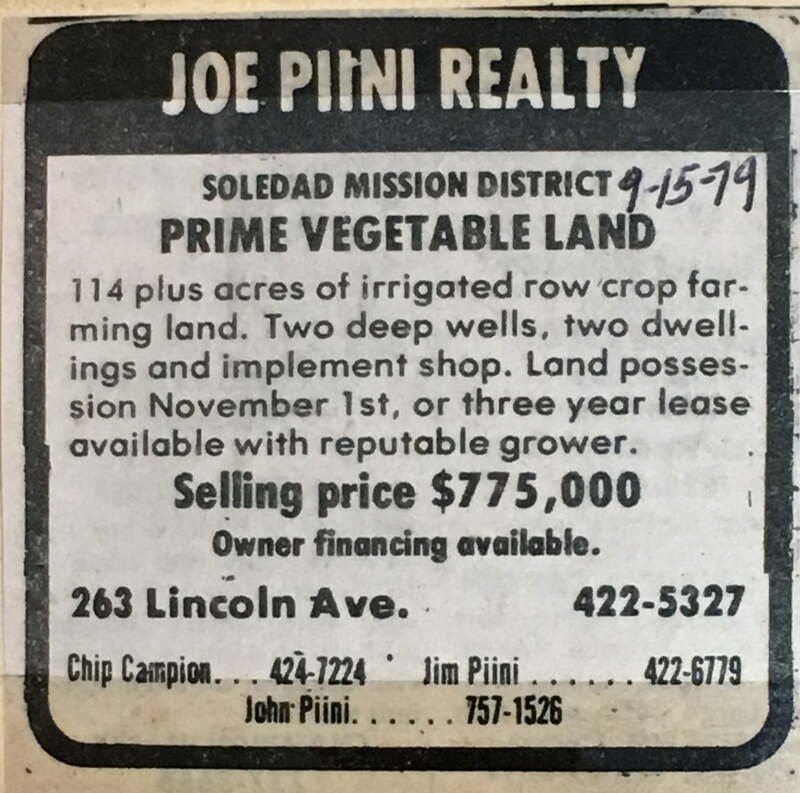 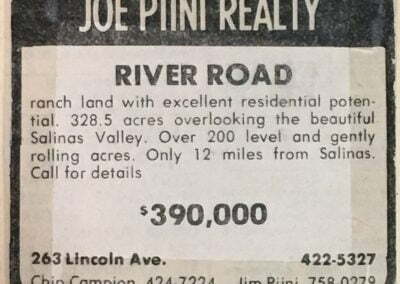 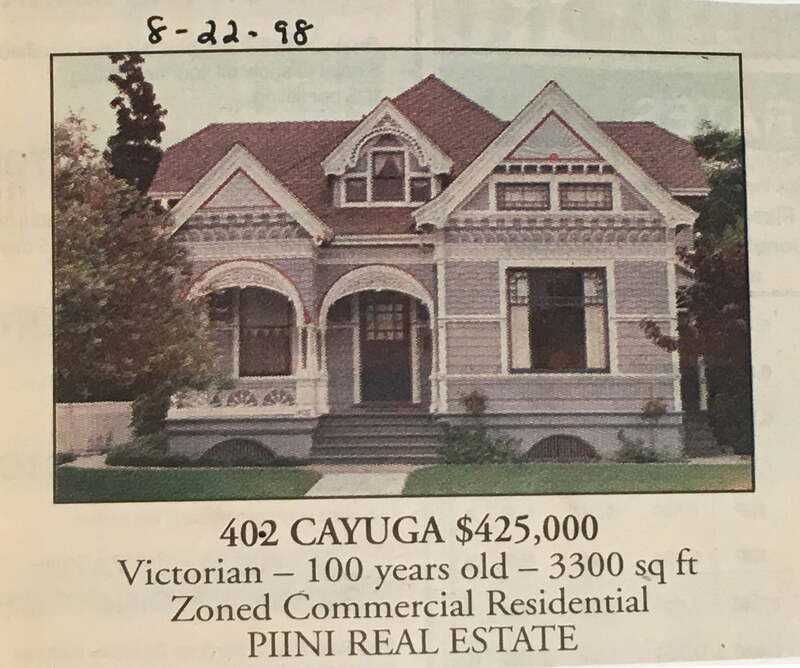 In 1970 Joe established Joe Piini Real Estate and moved into the current real estate office, which is located on the same block, and only a few doors down from where he started out 31 years earlier. 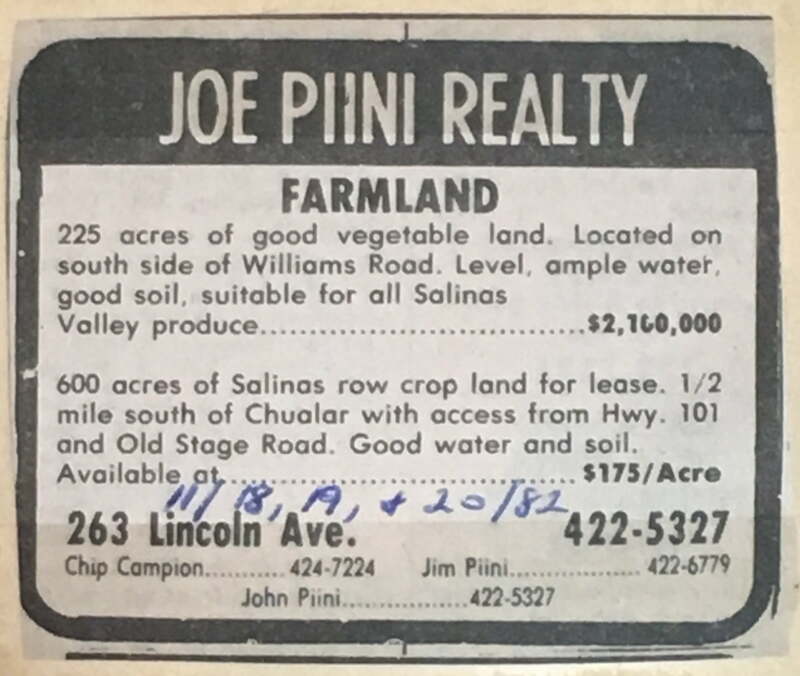 It did not take long for the office to become a family affair when Joe’s two sons, Jim and John, and his son-in-law, Chip, joined the business. 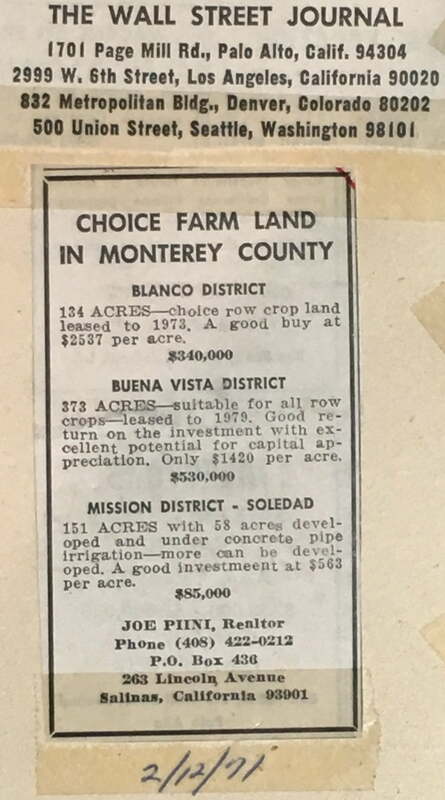 The family company continued in providing diversified real estate services of appraising, brokering and property management, with agricultural properties remaining as their specialty sector. 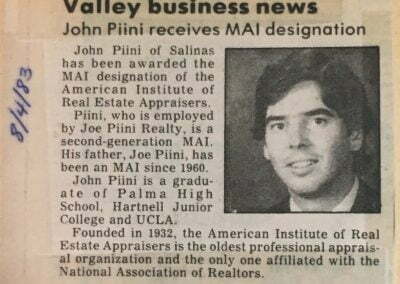 Following in his father’s footsteps, John obtained his MAI designation in 1983. 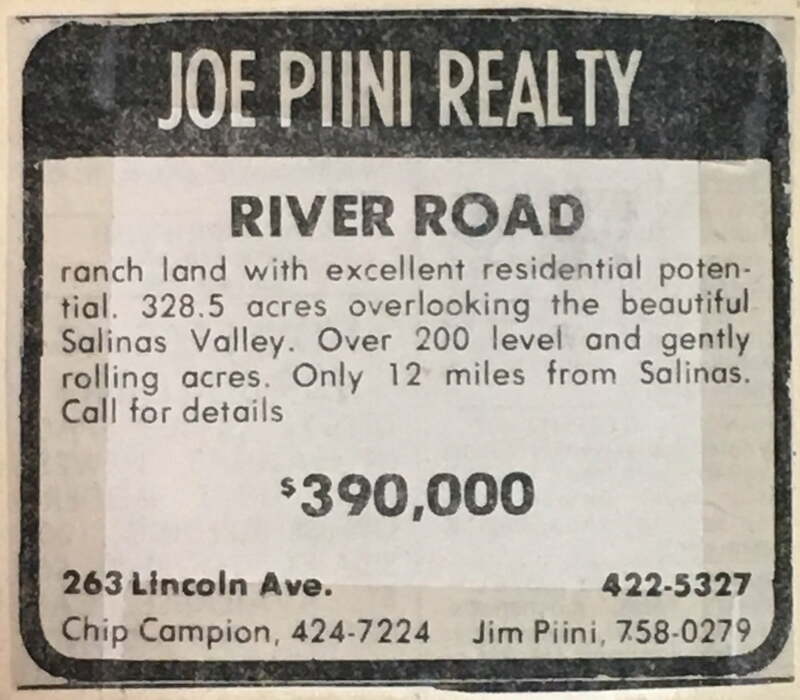 The company name was changed from Joe Piini Real Estate to Piini Realty, Inc. in the early 1990’s. 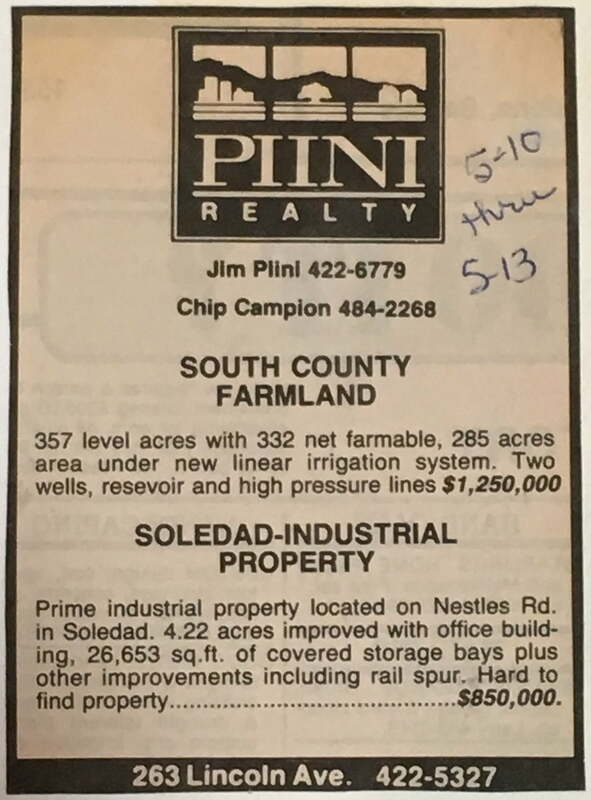 In the 1990’s and 2000’s, the third generation came aboard as Jim’s son Greg, and John’s sons Chad and Joe became part of the team. 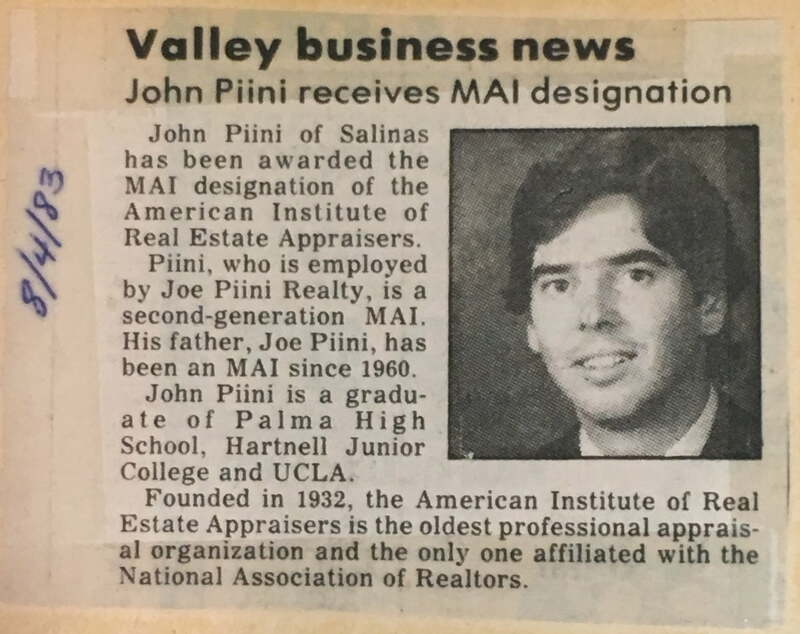 In 2016, Greg Piini became the third generation Piini to earn the prestigious MAI appraisal designation. 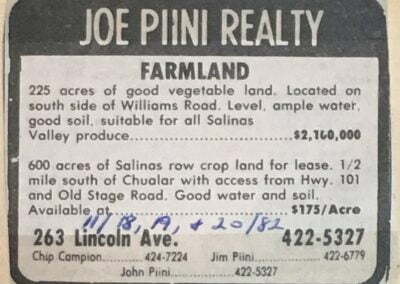 Today the company is led by John Piini. 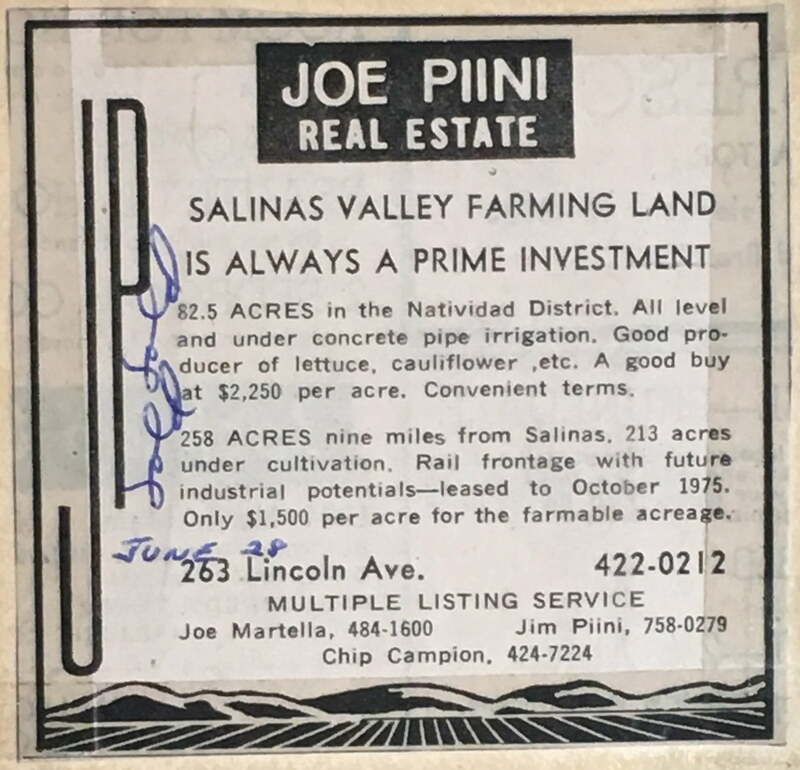 The Piini family continues the family tradition, legacy, and commitment to serving the Monterey, San Benito and southern Santa Cruz County that Grandpa Joe started in 1939. 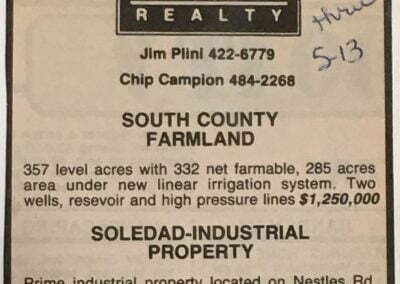 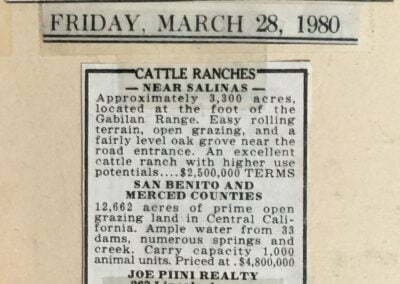 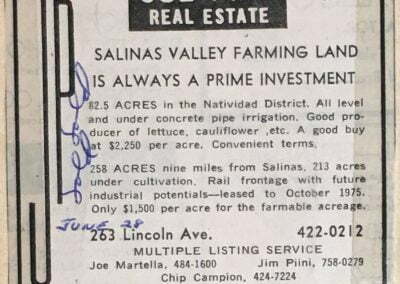 As it has been for 3 generations, farmland continues to be their passion, as the family continues to appraise, sell and manage Salinas Valley, Pajaro Valley and San Benito county farmlands. 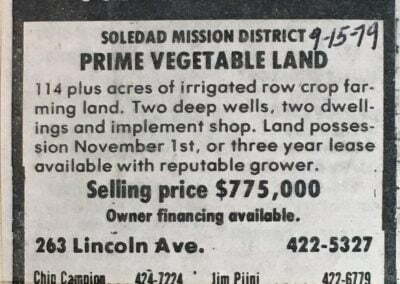 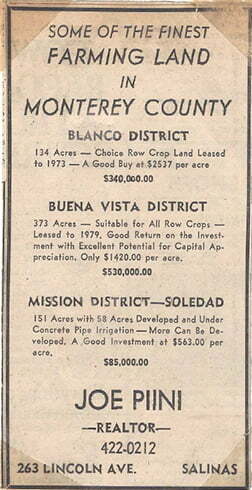 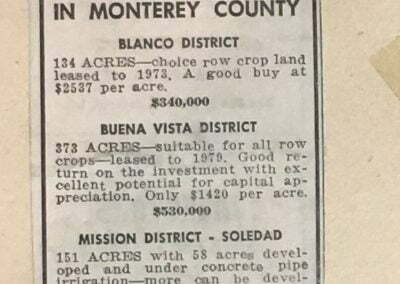 In addition to a passion for farmland appraisal and brokerage, they also broker, appraise, and manage all types of properties in the Salinas Valley and the Central Coast. 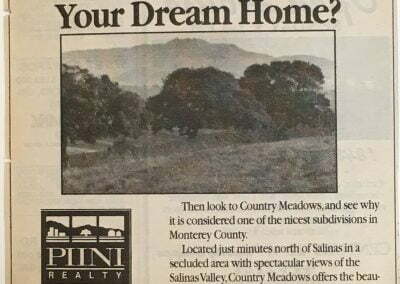 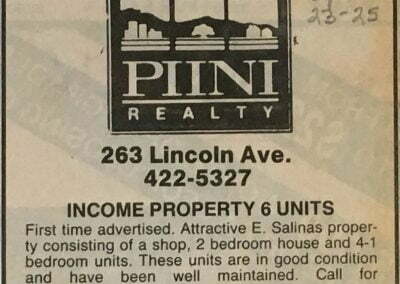 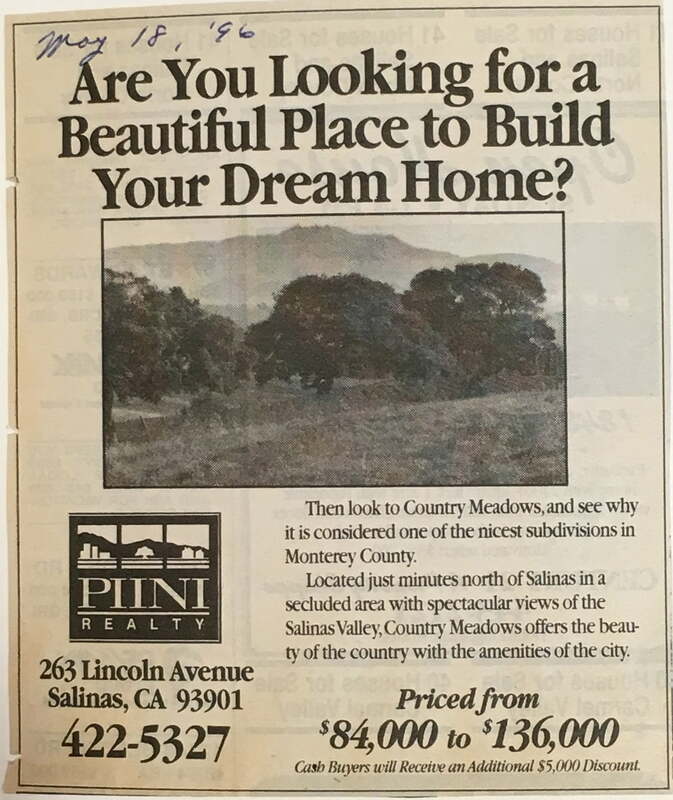 Firmly rooted in the Salinas Valley, Piini Realty continues to be a trusted source for high quality real estate services since 1970. 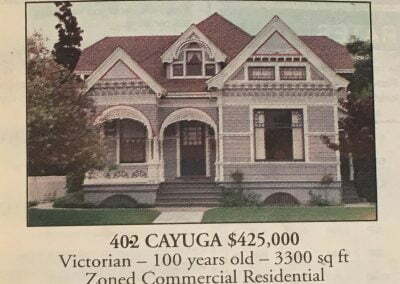 They are committed to their work, heritage, and community.